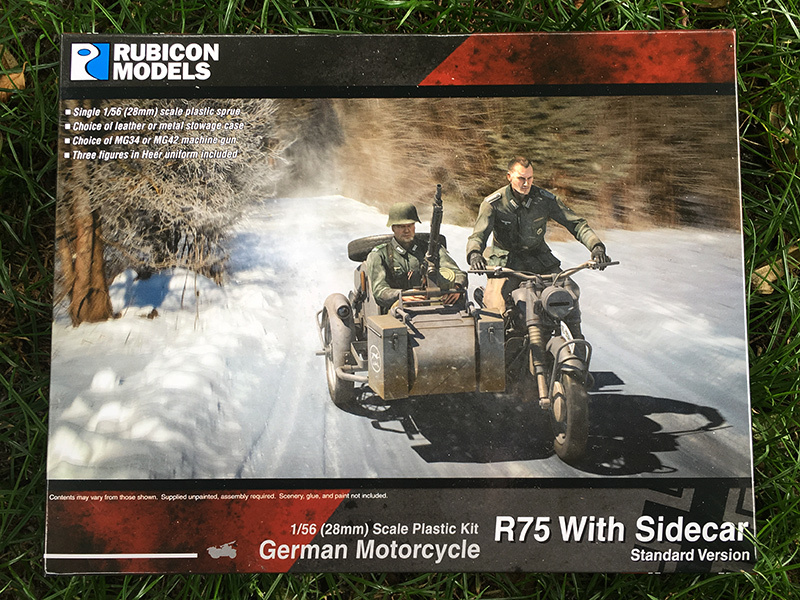 The second kit I got this week was the new Rubicon German BMW R75 motorcycle with sidecar. Once again, I saw these at Salute 2015 and instantly wanted to add them to my German forces. This one came from Caliver Books, one of my favourite suppliers, the prices are good and free postage is an added bonus. 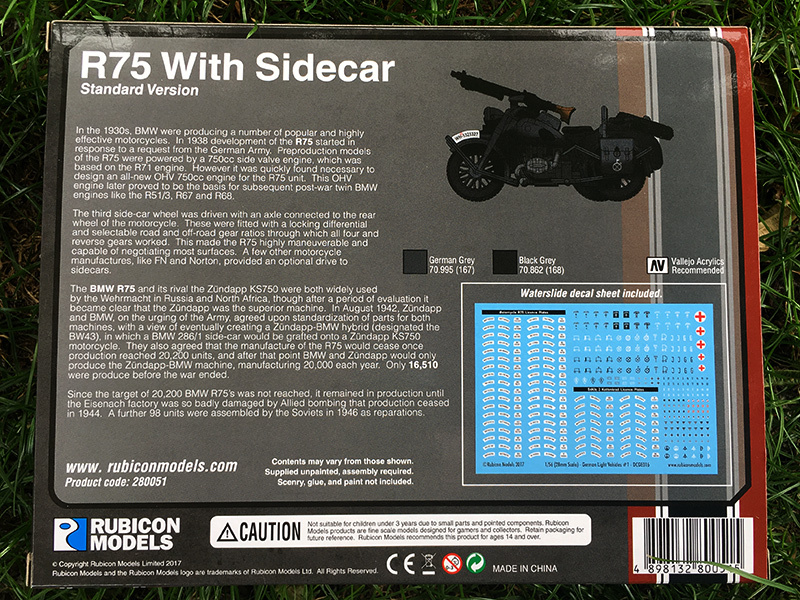 This one cost £10.75 which, as I mention in the video below, seems a little expensive considering the plastic real-estate you get when compared to what you get in one the tanks but beggars can’t be choosers. It would be nice to add a few of these to my forces and try out the different configurations but I’ll have to stick to one for the time being. It will be interesting to see how it paints up.